Crystal Clear Title & Escrow Co.
At Mid-American Title we believe that real estate does not need to be complicated. That the closing process should be easier to understand, simple to navigate, and efficient. We do this by not just having the most knowledgeable and skilled team; but also by incorporating the latest trends & technologies, taking the time to educate & training industry professionals all over the region. So, whether it's residential or commercial, new construction or new development, new mortgage financing, 1031 tax deferred exchanges, seller financing, or escrow, we have the skills & tools to handle all of your Real Estate settlement and closings needs throughout Northwestern Michigan & the Eastern Upper Peninsula. For over a quarter century the Mid-American Family has been supporting the community as the area’s oldest family owned and operated Settlement Company. Keep up with the ever changing Real Estate, Title Insurance, and Property News. Learn about the latest Trends, Styles, and Trick. A home is usually the largest single investment any of us will ever make. We help to protect you and your investment! We have the knowledge to help you build your brand & business. From marketing to social media, we can help put you a step ahead. Find Closing Request Forms, Rate Sheets, Township Contacts & More. Is this the method for you? If you are willing to do the work necessary to market your house and work with potential buyers, there are some advantages. 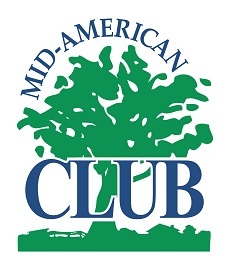 The Mid-American Title Club is a way for us to give back to the community by offering discounts on many services sought by a new home owner.